ATTENTION INVESTORS OR FIRST TIME HOME BUYERS! MOTIVATED SELLER WILL CONSIDER ALL OFFERS. Great ranch in move-in condition. Living room is freshly painted and features a large window. Dining room features a Pella door that walks out onto the deck. Updated kitchen with a new window. Refrigerator to remain. Nice sized bedrooms, updated bathroom. Neutral colors throughout the home. Ample closet space. Basement has 2 rooms that are studded in and could easily make additional bedrooms/office/playroom. Attic fan, water softener system, security system. Newer roof, electric panel, water heater and high efficiency furnace. Attached garage, nice yard. Immediate occupancy! Convenient location! Briargate is a subdivision within the city of Louisville, Kentucky. There are currently 2 Homes for Sale within Briargate, with asking prices ranging from $79,900 to $104,900. The average list price per square foot of the available inventory in Briargate is $108, which is below the Louisville average of $156. The Average Sales price of all sold real estate in this subdivision for the past year is $73,778. Recent comparable homes have been selling for 94.86% of their asking price. Waterfront homes represent 0.00% of the available Briargate inventory. The population of Louisville, according to the 2010 Census, is 597,337. The total number of households in the zip code of Briargate is 16,768, with an average household size for of 2.41 people. The total number of renter households within the zip code of 40216 is 5,527, which means that 67.04% of households in this zipcode are owner occupant households. 2203 Elmore St, Louisville KY 40216 is a Home, with 2 bedrooms which is recently sold, it has 1,020 sqft, 0 sized lot, and 1 Car Garage,Attached parking. 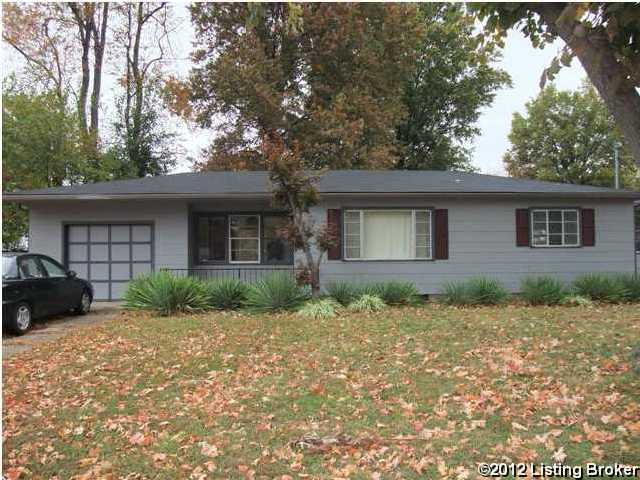 A comparable Home, has 2 bedrooms and 1.5 baths, it was built in and is located at 2317 Thomas Ave Louisville KY 40216 and for sale by its owner at $ 79,900. This home is located in the city of Louisville , in zip code 40216, this Jefferson County Home, it is in the BRIARGATE Subdivision, and CLOVERLEAF are nearby neighborhoods.